TekMark Growth Partners has recently completed an extensive review of Cinch Seal’s sales, marketing and strategic development activities and provided recommendations for developing new sales opportunities and implementing new initiatives and processes to support future growth. Internal customer and market support activities were evaluated and an external analysis of OEM/end user needs, market dynamics and competitive threats was conducted. As a result, Cinch Seal can now implement a variety of new business development and market penetration strategies to better position themselves for stable and profitable growth. Pennsauken, NJ – June 10, 2011 – TekMark Growth Partners, Ltd., a leading technology, marketing and strategic management consulting firm, was selected by Cinch Seal to conduct a business audit and provide recommendations on new sales & marketing strategies to create new growth opportunities. Cinch Seal is a leading supplier of rotary shaft seals for screw conveyors, ribbon blenders, and bulk handling equipment found in the food & beverage, pharmaceutical, agriculture, aggregate, and other process and industrial markets. TekMark recently completed an extensive analysis of Cinch Seal’s operations with an emphasis on sales, marketing and customer support activities. 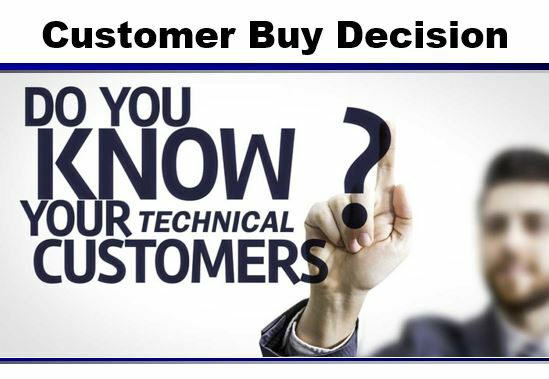 Major customer “touch points” were evaluated and new initiatives and process improvements were developed that are more aligned with established best practices for technically based engineered product suppliers. The analysis focused on; historical sales levels and activities; the current mix of customers, markets and applications; established product offerings and pricing; customer prospecting and market penetration; channel management; credit policies and overall terms and conditions; aftermarket support among other internal marketing efforts. External factors were assessed including; market dynamics and prospects for growth; customer buy decision and needs analysis; competitive scenario; and industry technology trends among others. Strategies for prioritizing, targeting and penetrating multiple markets, applications and specific end user plants & OEMs were provided that offer the best potential for growth. New distribution strategies were recommended that leveraged existing networks and enhanced visibility through training and incentive programs. Additional recommendations on market positioning, overall image, daily business management metrics and organizational support elements were provided. TekMark Growth Partners Ltd., http://www.tekmarkgp.com, is a leading technology, marketing and strategic management consulting firm. We help technology and engineered product and service based companies grow with proven processes and programs focused on new business development, new product development, technology commercialization, channel management, technical research, competitive analysis and overall strategy development. We work with technologies and companies in the aerospace, semiconductor, electronics, medical device, pharmaceutical, life sciences, laboratory instrument, optics & photonics, sensor, test & measurement among other technically based markets.